National Highway Traffic Safety Administration head-honcho David Strickland is big on emerging vehicle-to-vehicle communication, according to The Detroit Free Press. As a keynote speaker at the Society of Automotive Engineers World Congress in Detroit this week, Strickland lauded the technology, saying it could eliminate up to 80 percent of crashes. We've recently heard General Motors speaking enthusiastically about creating a network effect on the roadways, using portable devices like smartphones to share information about traffic conditions and what's going on in nearby vehicles to alert drivers and even pedestrians and cyclists. 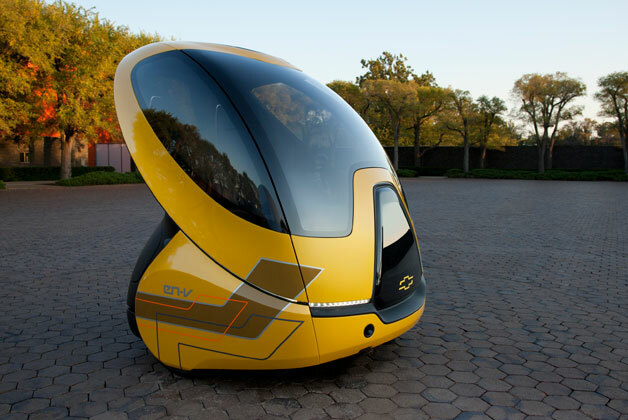 GM has been talking about vehicle-to-vehicle communications for a few years now, incorporating the idea into its EN-V concepts like the one pictured above, "cars" that promise a future in which autonomous driving is a reality. More immediately, Strickland said NHTSA will be "finalizing a rule to improve rear visibility in passenger vehicles," and that the agency is "beyond proof of concept" for a system to prevent an intoxicated person from driving, according to the report.NHTSA working with automakers to accelerate vehicle-to-vehicle communication originally appeared on Autoblog on Fri, 27 Apr 2012 00:45:00 EST. Please see our terms for use of feeds.